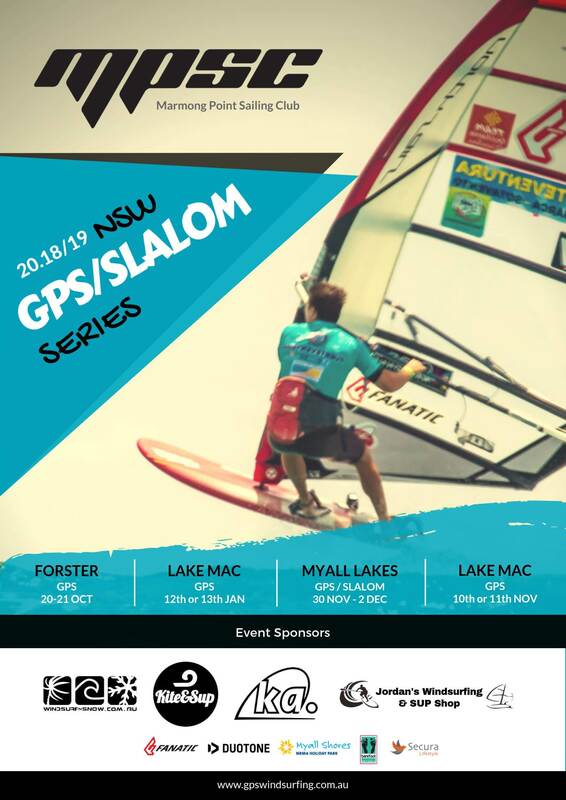 Marmong Point Sailing Club would like to invite you to the 2018/2019 NSW GPS/Slalom Series. Like always, the emphasis is to have fun. Sailing together in fantastic locations is so enjoyable, so please come along (all levels of sailors, as well as families, are welcome). Like last year, we will be running a series of training clinics as well. This was very well received last year. We are still working on all the finer details, so the official poster will be released very soon. We realise people need to book accommodation, so please find the details below. GPS / SLALOM ROUND 1 - The Forster accommodation is set up with 20% discount at Securalife style. Contact Alyssa Jones ph 026555511. This is an amazing new caravan park! STATE SLALOM - Accommodation is set up with 10% discount at the Myall Shores Holiday Park. Contact Robyn - ph 02499 74457 or 1300 769 566. Please mention you are a windsurfer, as we have booked out all remaining water campsites and also all cabins some time ago but cannot keep them on hold forever. We have lucky door accommodation prizes for both Forster and Myall lakes generously provided to be given away to a lucky windsurfer. This year the committee has spent a lot of time discussing the implementation of some changes to make the sailing more exciting. Like always, the conditions, location and availability of volunteers dictate what is able to be run. Racing can be arranged with marks and competitors go around this course over the set time period. Basically a massive figure 8 so we are racing each other but in the end, using your GPS (this has already proven to be more fun). Racing can be a long distance slalom course and the result counts towards the GPS result. Elite and open class. No handicap. Elite can do 30 min or possibly 1 hr. Open 30 min. We all do slalom together. The cut off period for submitting thru KA72 or via email is before 5 pm the day after racing. HELP REQUIRED! we still need volunteers for Myall lakes slalom. Even if you are happy to do GPS that's cool, we need people to help score the slalom. We will pay for your camping accommodation. We also need someone to tow Marmong boat up to Forster. We will pay you to do this. We would also like to have a volunteer on the boat if possible. Lake Macquarie events any helpers would be appreciated. Just spoke to Myall Shores today, The waterfront sites are selling fast. Don't delay. All booked for Myall! Still waterfront campsites available at this stage. Looking forward to it! chose option 2 reception ask for Robin. only 3 cabins left now very popular. waterfront camp sites going quickly but more sites across road still available. i am going up Thursday and staying till Monday make a great weekend away and that way not worried about having to pack up and get out Sunday arvo. Hope you stay well this time Tony! Well....thanks for organising this again guys, but all north coast events again and twice in the swamp! What about the south coasters? What about the Mexicans?! Why don't you just call it the Mid NSW Coast Series and come out of the closet? All jokes aside, I'll be at the JB Sand & Sea Festival in October so hope to see a few of you there. I don't know who these guys have been talking to, but that downwinder and obstacle course slalom are perfect for Jervis Bay, still the best all round flat water windsurfing in NSW in my opinion. I've done those tracks many times over the decades and they've got it spot on. Just the kind of racing I've been advocating there for two decades. That sounds like an awesome event and being multi-disciplinary should also be great for families. I asked the same question regarding the Sydney and south coast events, Adriano, and I was told that both events had run at a loss due to a lack of numbers the last couple of years. Would love to and have loved heading south over the years but ultimately the costs and resources associated with running an event down south have outweighed the benefits. If if someone form down south is keen to organise a boat, boat crew, aquatic license and then encourage locals to participate to make it financial that would be a great start. ultimately the series needs participation to make it a success at all locations if we only get 4 or so locals and 15 people traveling and then those 4 locals don't come to other events that doesn't work for the series, hence the locations chosen this year. Would love to see the sand n sea festival event be a bolted on to the series in the future with some better forward planning. Maybe......you could get together with Sand & Sea Festival and run the GPS concurrently. That would save huge costs by sharing resources. They already have a downwinder and obstacle slalom. Just add GPS and Tibor's your uncle! Well, he's already everyone's uncle.... I wouldn't be surprised if they let us tag along just to drum up interest. Insurance sorted too. Myall lakes state slalom you need to book accommodation ASAP it is selling out. There is interest from Victoria and QLD so come along to this very special place. chose option 2 reception ask for Robin tell them you are a windsurfer for your discount. We will be posting more information and a new electronic link to pay very shortly. We have been working hard to get some fantastic sponsors this year and it is shaping up to be very well supported from some great suppliers. Adriano I love it down there as well fantastic place and in fact having a week holiday there in Christmas holidays, but only a couple of locals turned up from the area and two years ago we lost money running the event as such. Last year at Myall lakes we had 26 competitors it really is a fantastic place to hang out. You'll be a grandfather soon !!! Congratulations ! Online registrations are now open for the 2018/2019 NSW GPS/Slalom Series. The first event is only weeks away! Thanks for the continued efforts of the MPSC for organizing these events. I am going as well.Looking forward to another season Sailing and travels . A really big thanks to all the sponsors that have enabled this series to happen. We have a few of the large shops supporting us, so it's important for all of us to return the favor and support them. Likewise with the accommodation, Buckos, and butcher etc. A large amount of work goes into to organising the series with many volunteer man hrs required. Newcastle Kite & Sup (Money to help pay for shirts). Windsurf & Snow (Money to help pay for shirts). Jordans Windsurfing & Sup shop (giving a KA sail away to a lucky windsurfer). KA Sails (Money to help pay for shirts). Fanatic Boards(small give away prizes and help with new inflatable marks). Duotone Sails(small give away prizes). 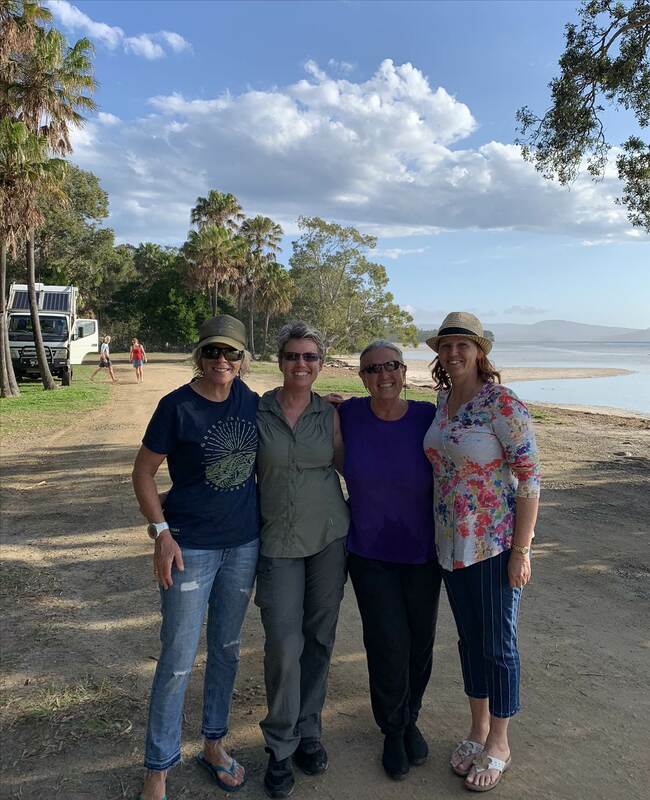 Myall shores Holliday Park (10% discount for windsurfers for state slalom weekend and they are giving away weekend accommodation lucky door prize. A Family fantastic place to stay). MPSC organising and running the series. ORGANISING TEAM Byron Mcilveen, Murray Towndrow, Steve Walsh, Aron Constable. New high quality shirts look amazing (no discount this year as we have gone with a new high-quality shirt but have been paid by the three major shop sponsors). Please note there are some changes we have implemented to make racing more exciting as requested by feedback as noted in sailing instructions. We will have the Marmong boat at Forster as the rescue boat and the ability to put marks out. We will be organising teaching days like we did last year (this was a huge success). Please click on the link and pay for series or what events you intend to race at. This helps us cater for numbers. The more people the more enjoyable it is for everyone. We encourage you to bring the family (that's what it is about, being together having fun). Please book your accommodation for Forster and Myall. Myall is filling up fast but there are all types of accommodation left but they are asking me how long I can keep it on hold before giving it to the public and then it will sell out. It's a cheap camping weekend so book it now with a deposit. 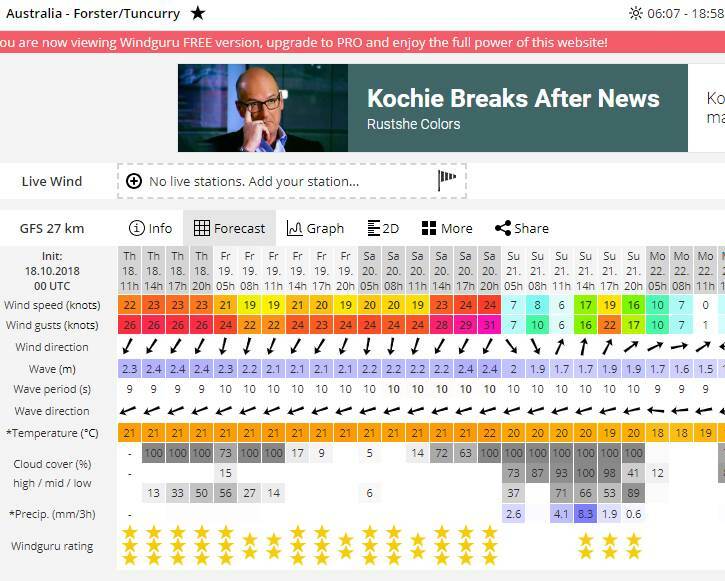 Bring forward Monday to Sat..and you could get some Qld's heading south! Nothing but buckets of H20 here, in both forms frozen and defrosted and the wind is sucking harder than a kings cross...XHJ!@@.. must be cause it sucked the roofs of fair few buildings up our way! All registered and ready to go! Come on wind! be a great weekend hot and sunny on Saturday with heaps of stuff organised. long way out so who knows what we will get it keeps changing but looks OK. I plan to arrive early tomorrow afternoon for a sail. Here's directions to the sailing club if you haven't been there before. 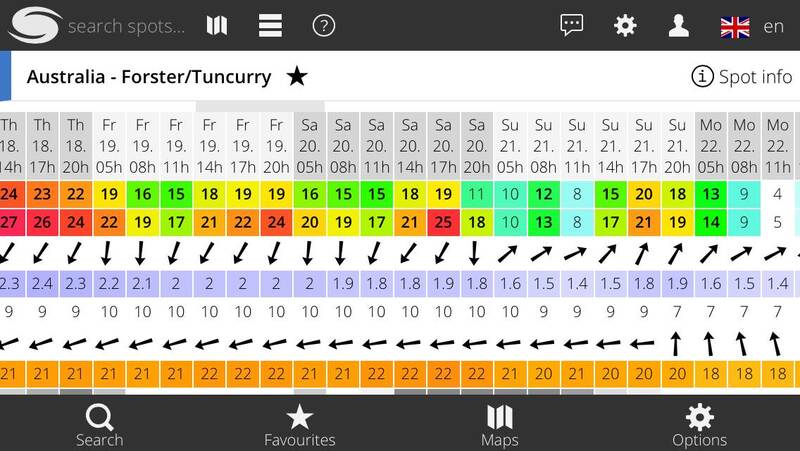 Looks like rego 10-11am, then briefing at 11.
yes briefing at 11pm as per sailing instructions. registration is on line see link on this forum takes 1min to fill out using paypal. looks like good numbers looking forward to kicking off the season. If anyone is interested a few people having a sail at the sailing club this afternoon. I will be in front of cabin one on the lake waters edge for drinks later this arvo after a quick sail hopefully then watching the sun set if any one wants come around and enjoy the view to kick the weekend off. bring some nibbles and alcohol if you wish.